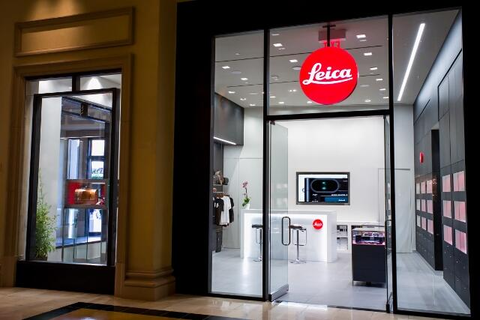 July 11, 2016 – Leica Camera today announces the opening of the first-ever Las Vegas Store, located in the Forum Shops at Caesars Palace. The Leica Store Las Vegas allows consumers to explore Leica cameras first-hand in a dedicated space that offers exceptional service and access to an expert staff who are available to provide in-depth advice, tips and recommendations no matter the photographer’s skill level. The new Store offers Las Vegas visitors and locals the opportunity to experience the entire Leica camera line and select sport optic products through product demonstrations and advice from a highly-trained staff. A rotating selection of prints are on display to showcase the inspiring imagery captured with Leica cameras. Located right off the Las Vegas Strip’s ground-level entrance to Forum Shops, the Leica Store Las Vegas is central for travelers and has the longest operating hours of any Leica Store. Guests can visit the store from 10am-Midnight on Friday and Saturday and 10am-11pm Sunday through Thursday.